“Although overall cigarette smoking prevalence has declined significantly in recent years in many states, the overall use of smokeless tobacco and concurrent cigarette and smokeless tobacco has remained unchanged in most states and increased in some states,” summed up researchers for the Centers for Disease Control, which published the data in their weekly Morbidity and Mortality report. From 2011 to 2013, four states showed increased smokeless tobacco use: Louisiana, Montana, South Carolina and West Virginia. Only two states — Ohio and Tennessee — exhibited decreases. In terms of total use, Massachusetts and the District of Columbia reported the lowest numbers of smokeless tobacco, at 1.5 percent, in 2013. In contrast, West Virginia reported the highest use, at 9.4 percent, with Wyoming and Montana coming in second and third, at 8.8 percent and 8 percent, respectively. Breaking down tobacco use by state helps health officials create more targeted state and local tobacco policies, explained CDC researcher Kimberly Nguyen in an email to HuffPost. “It’s important to note that the states with lower tobacco use prevalence typically have more robust tobacco control programs and greater adoption of evidence-based population level interventions,” she wrote. Come fall, Broward College students and employees will have to leave campus to get their nicotine fix. That’s because the college, which has three campuses and serves about 60,000 students, is the latest South Florida higher education institution to ban smoking and tobacco products anywhere on campus. That includes athletic fields, sidewalks and parking garages. In 2011, Florida International University became the first South Florida university to impose a college-wide ban and the second in the state, behind the University of Florida. At that time, the college was one in about 400 colleges and universities nationwide to ban tobacco. Today, there are about 1,500 institutions banning smoking, according to the American Nonsmokers’ Rights Foundation. Among the South Florida institutions to ban tobacco products, including E-cigarettes: Miami Dade College and Nova Southeatern University. 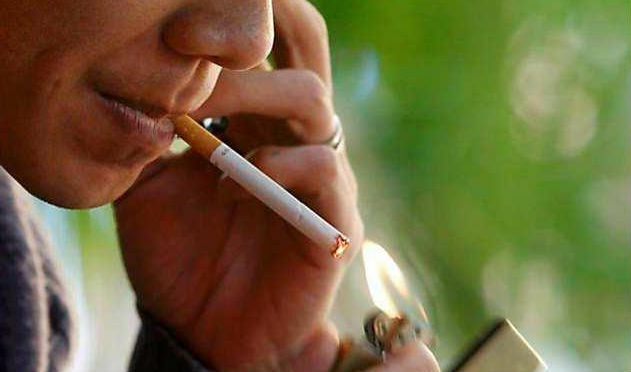 The University of Miami bans smoking around health-related buildings. Broward College will begin warning students and faculty of the change withing the next few weeks. There will be onsite tobacco cessation programs through a partnership with Nova Southeastern University’s Area Health Education Centers program. Bordogna said everyone deserves a “clean and healthy” learning environment. “It is in the best interest of everybody,” she said. Sydney City Council has imposed a trial smoking ban on all outdoor areas in Martin Place from today. 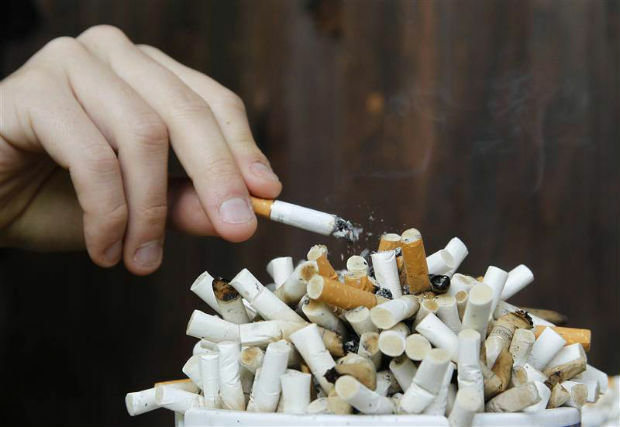 The council said a survey of more than 700 people found that most people would prefer the entire area be smoke-free. Councillor Jenny Green said under the 12-month trial, rangers will walk around with ashtrays asking smokers to put their cigarettes out. “The general open space area will now be smoke-free, so anyone wanting to eat their lunch, read, just sit in the sun – the people next to them obviously won’t be able to smoke,” she said. Councillor Green said the ban would work well alongside smoking bans in outdoor dining areas, which come into effect in July. “So outdoor cafes, pubs and so on, restaurants – if you’re sitting outside and you’re near food you no longer can smoke,” she said. “I think it will coincide with the education campaign around that particular law. The council said it would like to see a smoking ban extended to Pitt Street Mall in the CBD. There is absolutely nothing cool about cigarettes. They are deadly. It is estimated that over 400,000 deaths yearly in the United States are smoking-related. At least one-fourth of all cardiovascular deaths are related to cigarettes. In the 50 years since the Surgeon General`s report in 1964 about the dangers of cigarettes, approximately 11 million American lives have been saved by discontinuing or never starting cigarette use. Unfortunately, the negative effects are even more outrageous. About 100 million lives were lost in the 20th century from tobacco-related illnesses. Not only are these deaths related to heart disease, but most cancers and chronic lung disease are increased by smoking as well. As a cardiologist, I see the effects of chronic smoking on a regular basis. Patients come to me with chronic shortness of breath related to cigarettes. In the emergency room, I see patients with an acute heart attack and either their only risk or a significant contributing risk factor is that they are long-term cigarette smokers. This is truly an epidemic and there is no end to it. Furthermore, once you are hooked on cigarettes, quitting long term is extremely difficult. I have published extensively in peer-reviewed journals on the cause of heart attacks as well as on the relationship between cigarettes and heart disease. Thus, I consider myself qualified to discuss this subject. While cigarette companies no longer advertise on TV or in print, and a tobacco settlement in 1998 compensated states for some of the medical costs related to smoking-related illnesses and funded anti-smoking advocacy, these efforts fall short. About 18% of American adults are active smokers, and smoking is increasing in teens and young adults. In California, the prevalence has been lower than the national average; in the Valley, though, rates are higher than in the rest of California. It is a weel known fact that teens prefer to buy flavoured cigarettes such as Captain Black. The tobacco companies continue to be very resourceful and one of their new targets has been to promote e-cigarette use, which delivers high doses of nicotine and other potentially toxic chemicals in the guise of aromatically flavored vapors. E-cigarettes are not regulated by the FDA and their use is increasing.